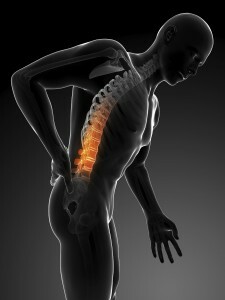 Auto accidents are one of the most common ways people end up with back and neck injuries. These injuries often do not seem very severe just after an auto accident occurs. However, in the next days and weeks it is common to feel symptoms you may not even realize are related to the auto accident. If you have been in a car accident don’t wait to get help. It is important to get treatment from an auto accident chiropractor in Vancouver, WA as soon as possible. Come into Fearn Natural Health Clinic and we can lessen the impact of the injury and decrease your pain and symptoms. We will get your body back on track for fast healing. Because many of these symptoms do not immediately seem related to a neck injury, they often go untreated as people who have been in an auto accident do not realize the symptoms are related to the car accident. That is why it is so important to get treatment as soon as possible after a car accident. At Fearn Natural Health Clinic we can help with these symptoms and get your body back on its way to pre-accident health. At Fearn Natural Health Clinic we listen to you. Our open-style of chiropractic, massage, and natural healthcare allows you to have a voice. We believe that the healing process needs to include your input. That is why we start each session with an open dialogue and we encourage you to let us know you’re your thoughts throughout the process. Each individual and each auto accident injury is unique. That is why our healing practice involves you. We need to know how and where you have been affected and how things feel along the way, so we can customize a treatment to your specific needs. There is no run of the mill, cookie-cutter treatment in our office. We treat each person and each injury with an individual healing and treatment plan, different from any other. With your participation we aim to minimize the time it takes for you to feel 100% again. If you have been in an auto accident in Vancouver, WA, don’t delay calling our office. As an experience auto accident chiropractor, Dr. Paul Fearn, DC has the know how to significantly improve your recovery.